Since I have established Mercedes Morales Properties in 1990, many of our clients have fulfilled their Dream of having a property in Spain. We work in close collaboration with lawyers, developers, technicians and other professionals to provide a devoted service, total discretion and full dedication to your project. Our Aftersales Department will be at your service at any time as I like my clients to be our friends for life. Our expertise covers all types of properties, investments opportunities and a special rentals department. You have made your choice, Mercedes Morales Properties, will work for you! Do not hesitate to contact us by e-mail, fax or telephone for any inquiry. We look forward to seeing you in our office soon. Don’t hesitate to contact us. We will help you to find your dream home. CAPANES SUR This is an exceptional and exclusive villa project located in Canapes Sur (Benahavis municipality) on the Costa del Sol in southern Spain. Lovely new modern villa with the highest quality standards with private garden and pool, expected key delivery summer 2016. Built over 2 levels it rises from the basement, Infinity Pool with Solarium, to Ground floor, to Upper floor, Terraces on Upper Floor with Access from the bedrooms. The villa is offering 4 bedrooms +1 service bedroom en suite, 4+1 bathrooms, guest toilet, open plan plan living with 3 m ceiling and bay windows, what fills the house with natural light and creates great volume, dining areas that are serviced by modern fully fitted kitchens finished with the highest quality materials and appliances throughout and ample sunny terraces with infinity pool with views over the surrounding area and out to the sea, mountains and golf course, what add to the quality lifestyle setting that are on offer. The villa built with the latest technology and renewable energy to protect the environment and achieve optimal energy efficiency. efficiency (thanks to special architectural panel walls of reinforced concrete with 31 cm of thickness type sandwich: 7cm white reinforced concrete, 9cm thermal insulator, 15cm of structural reinforced concrete). The villa has a Total Built Surface area of over of 300 m2 plus large basement of over 368m2 and terraces of almost 300 m2 on plot of 1443 m2 Basement, Total Surface area of 368 m2. Ground floor, Total Surface of 152.83 m2 + 73.61 m2 terrace . Exciting new project of “Los Olivos” 19 Villas located in the Nueva Andalucía Golf Valley within a fully gated and secure community with sea and mountain views, only minutes to all the main facilities of Nueva Andalucía. Contemporary modern design, built to Scandinavian standards. 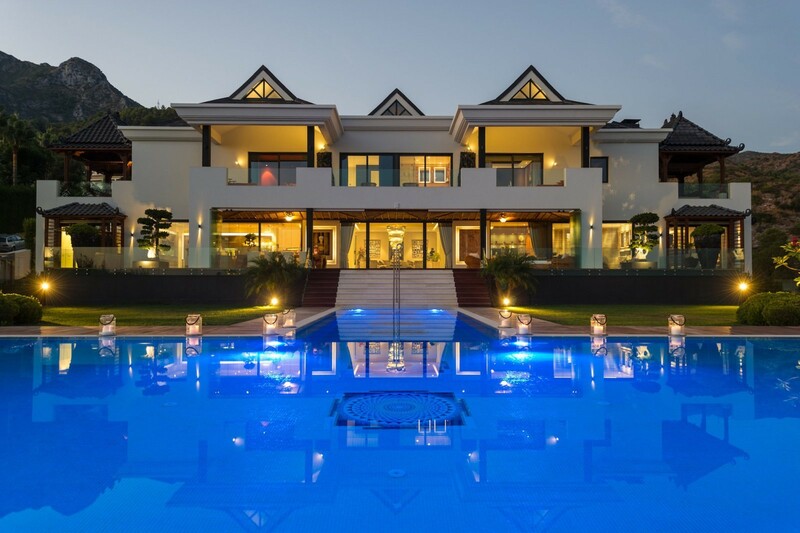 A turnkey project with all the features you would expect from a new state of the art Villa: extensive gardens, private pools, large basements, high ceilings, large windows, full under floor heating. Prices range from 1.500.000€ to 2.300.000€ depending on size (will be raised by 15% on the 1st of April) The project is being carried out by top developers with many years of experience building houses in Marbella. Completion of the first phase is scheduled for August 2016. Building licenses are already in place and land movement has already started. Investments protected by full bank guarantees. Early viewings highly recommended as two villas out of 7 in the first phase have already been reserved. Unprecedented opportunity to invest in a project of the highest quality! 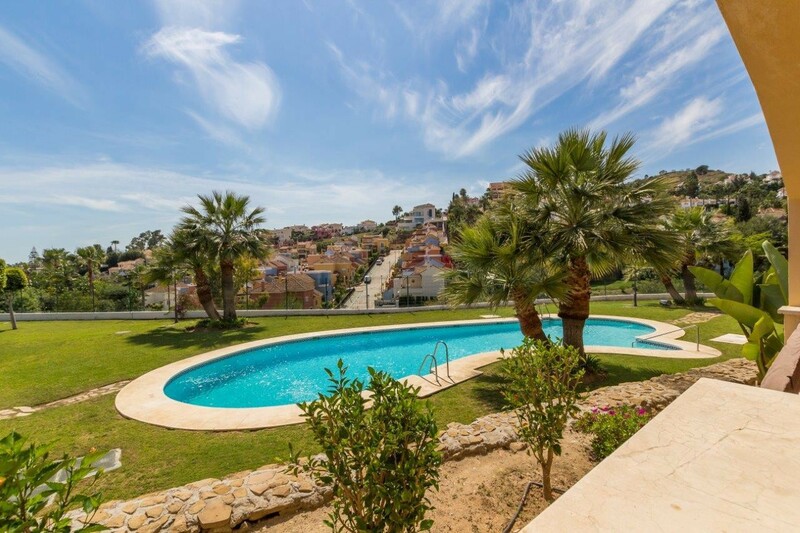 Beautiful villa located in Los Naranjos Golf, Nueva Andalucia, MarbellaSpacious, contemporary refurbished villa frontline golf, southwest to west facing with impressive views to the golf, walking distance to the Los Naranjos Golf Club. Located in a cul-de-sac, very quiet and private.Entrance hall, lounge with direct access to the garden and pool area, dining area, fully fitted open plan kitchen, guest toilet, four guest bedrooms suite. Upper floor: Master bedroom suite. Garage and carport.